The controversy erupted earlier this week when a series of ads released by the luxury brand to promote a Shanghai fashion featured a Chinese woman struggling to eat spaghetti and pizza with chopsticks. 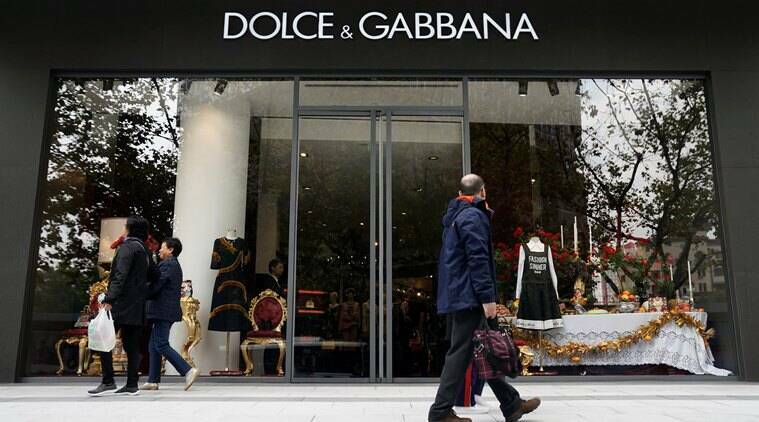 Italian luxury brand Dolce & Gabbana Friday through a short video issued an official apology for hurting sentiments of Chinese people after a series of ads were decried as racist by individuals and celebrities on social media in the country. Dolce & Gabbana’s founder Domenico Dolce and Stefano Gabbana appeared in a short video posted on the company’s official Sina Weibo account to extend an apology regarding the recent outrage over a series of ad’s that were termed ‘racist’. More trouble came for the company when screenshots were circulated online of a private Instagram conversation, in which the brand’s designer Stefano Gabbana makes a reference to “China Ignorant Dirty Smelling Mafia” and uses the smiling poo emoji to describe the country, news agency Reuters reported. The brand later claimed that Gabbana’s account had been hacked. As the fallout grew, Dolce&Gabbana goods were also taken off from the Chinese e-commerce platforms. “China has always been friendly to foreign businesses. But it doesn’t mean there’s no bottom line,” the ruling Communist Party’s People’s Daily newspaper had wrote on Weibo on Wednesday.